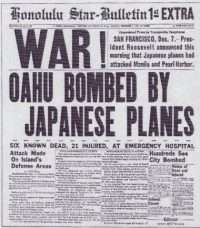 December 7, 1941 will forever be one of the most memorable dates in American history. The attack on Pearl Harbor, a preemptive assault to prevent the U.S Pacific Fleet from entering the War in the Pacific, began at exactly 7:48 a.m. Over 350 Japanese fighter planes destroyed 188 U.S aircraft, 4 naval battleships, and killed 2,402 Americans, as well as wounding 1,282 others. At this point WWII had been going on for nearly two years, and the United States had been maintaining its isolationist policy to avoid becoming involved in another world war. The following day, December 8th, the United States declared war on Japan. Niles W. Bond was a consular officer in Yokohama, Japan from 1940-1942 and was there during the attack on Pearl Harbor. 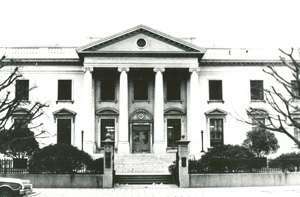 Bond and the other American diplomats were then confined to the U.S. embassy by the Kempeitai or Military Police Corps, a secret police similar to the German Gestapo. Here, Bond recounts what life was like during his internment and describes the frantic attempts to burn important U.S. documents, including the code book, playing baseball with the guards, and the food they ate (which ranged from cat to meals prepared by a Swiss hotel), and their eventual release in Mozambique several months later in an exchange of “enemy aliens.” You can read other stories from World War II, including how U.S diplomats were treated by the Gestapo. Read Robert Fearey’s account of the failed attempt to avert war with Japan. Q: As the gates were shutting, so to speak, prior to the attack on Pearl Harbor, did the visa business fall off and your regular work fall off? Q:…what class they were and that sort of thing? BOND: Yes, but that was it. 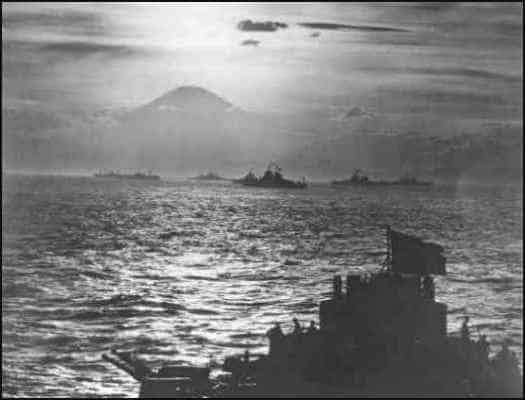 The Japanese, as it turned out, knew about our spying on their ships because one of our American clerks who was a Nisei, with an American father and a Japanese mother, was working for the Kempeitai,…the equivalent of the German SS. They were the ones who, when we were interned, took us over. But you were asking about the day of the attack. When I got back from that day at the beach, I had dinner and went to bed fairly early. I was awakened about five o’clock in the morning by a telephone call from this same Nisei clerk who turned out to be working for the Kempeitai. They had made a serious attack on the British fleet, including the Britannia; I think it was, the flagship of their fleet… So I turned on the radio and I kept it tuned to an English language station in Shanghai… and all of a sudden the news reader interrupted and said he had a special communiqué from the Imperial General Staff. Then he read the communiqué: the Japanese had attacked Pearl Harbor, and Japan was now in a state of war with the United States and Great Britain. It was about five-thirty by the time I got that and so I woke my colleague, the other vice consul. We had some things to burn. There was a good place out in the garden which was hidden by shrubbery so we were taking things from the secret files and burning them. After two or three hours of this, the Kempeitai arrived in force and took over everything. One thing we kept, at the Consul General’s insistence… He said, “The last things you want to burn are the code books, because we may get a coded message from the embassy that we will have to be able to read.” So we kept the code books and they were still there when the Japanese arrived. 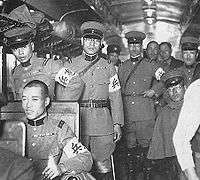 The truckload of Kempeitai guards were commanded by a major. He made us go around and open all the files and show him what was inside and so on. He saw the code books. They were in a vault in the consul general’s office, but he didn’t touch them. He didn’t touch anything. He just closed them up and put a Kempeitai seal on them. Then he went on his way, and this was a mistake on his part. 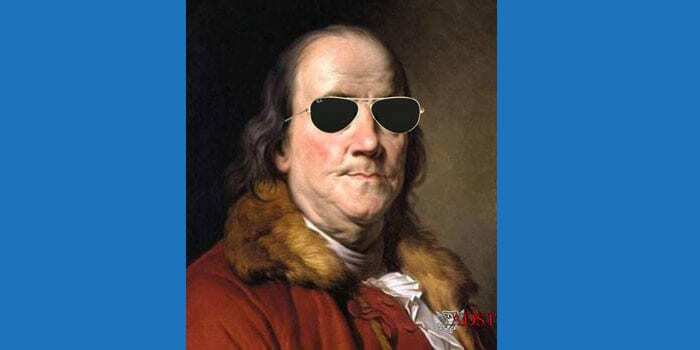 This was because my vice consul colleague, Jules Goetzman, and I decided that the thing at the top of our list was getting those code books back, out of the vault, and destroyed, before the Japanese got them and read them or used them…. So, to make a long story short, there were two doors to the Consul General’s office, one of which opened into a hallway that led to our apartments upstairs. The other led to his secretary’s office which was now being used as a sleeping area for the guards. There were about a dozen guards sleeping in there, and more sleeping around the area. Q: These were Japanese guards. BOND: Yes. The vault that held the code books was right up against the wall on the other side of which they were sleeping. So we found one night that they had failed to shut tight the one door that we had access to. So we went upstairs and lit a fire in the fireplace and waited until about midnight. Then we went downstairs very quietly and carefully and opened the vault. Every time we turned the thing we heard this “clunk” inside. It sounded horribly loud to us, but nobody woke up. There was no movement from the next room. We took the books out and closed the safe very carefully. We didn’t lock it because that would have made more noise. We just closed it firmly. We had to break the Kempeitai seal, of course, to get in…. We went upstairs and spent the rest of the night burning the two code books. We finished between five and six in the morning. Then we had a good, stiff drink and went to bed. About an hour later, someone knocked on my door: one of the subordinates of the guard detachment. He said, “The Major wants to see you downstairs right away.” He then went over to wake my colleague, and we were taken downstairs to where the Major was waiting. The Major took us into the Consul General’s office, pointed to the broken seal on the safe, and asked if we knew anything about it. When we nodded, the Major ordered us to open the safe. Once it was open and he saw the empty space where the code books had been, he demanded that the books be returned to him at once. My colleague replied that they had already been destroyed and offered to show the Major the ashes. The Major, in a rage probably fueled as much by fear for his own head as anything, drew his sword and demanded an explanation. Recalling a discussion we had had the night before while burning the code books, Goetzman and I, in an inelegant mixture of English and Japanese, endeavored to explain the destruction of the codes in terms of bushido, the traditional samurai code of loyalty and honor. We pointed out that Americans, too, had such a code of conduct and tradition of loyalty which demanded that we risk our lives to protect our country, in this case by protecting its codes. We played several games with the guards and they were very nice. What they talked about most was “my cousin in California.” They were all interested in going to visit their cousins or uncles in California. Things like that. There was no sign of animosity at all. But for the first three months we were interned, the Kempeitai would not even allow the Foreign Office to see us. They wouldn’t allow the Foreign Office to send a representative down. I think it was Sweden that was the… protecting power. They wouldn’t allow anyone from the Swedish Legation to see us. So we couldn’t get anything changed nor anything done. I don’t know how it happened, but finally that situation changed. The Foreign Office sent a delegation down with many apologies. The Swedes came down, too. One of the things that the Foreign Office persuaded the Kempeitai to do was to allow us to walk an hour each day in a little park that was across the street. It was exactly a mile long and it had been built with American funds after… the 1923 earthquake…. Anyway, the Kempeitai allowed it. There had been several others sent down from Manchuria and Korea to be interned with us. Foreign Service people. So we were about 10 or 12 altogether. They would take us walking with guards fore and aft along the park front, one time up, one time back. We were under strict orders not to speak to anyone. The weather was good and there were many Japanese walking, particularly on weekends. We never had the slightest show of animosity from any of the Japanese we passed. As it turned out, when I was in Cuba, he had been a German vice-consul in Havana. He had subsequently been expelled from Cuba for espionage in 1940, and had been transferred to Panama. He was expelled from Panama almost as soon as he arrived there. The only way he could get back to Germany was through Japan and the Trans-Siberian Railway. But, while he was en route to Japan, Germany invaded the USSR, forcing him to remain in Japan, so he didn’t make it home. Anyway, the guards were very upset over this interruption. They ran over and grabbed him. They pulled him away and demanded his identification. He showed them his German diplomatic passport. The guard called for his superior to come over and look at it. He said, “Look, this is impossible! These people are enemies! What are they doing hugging each other! ?” He didn’t believe it. But finally they accepted the fact that he was German and that we were pre-war friends. I don’t know what happened to him. He had to spend the whole war there, I guess. I never saw him again. Q: What about food? Did the Japanese supply it? BOND: We had a bad time with food. The Japanese were under the impression that we had lots of food stashed away because we always shipped things in from San Francisco….We had lots of flour, lots of coffee, powdered milk. That sort of thing. Nothing really to eat. We finally convinced the Kempeitai that we really didn’t have anything to eat. So they made an arrangement for the New Grand Hotel to send us meals. 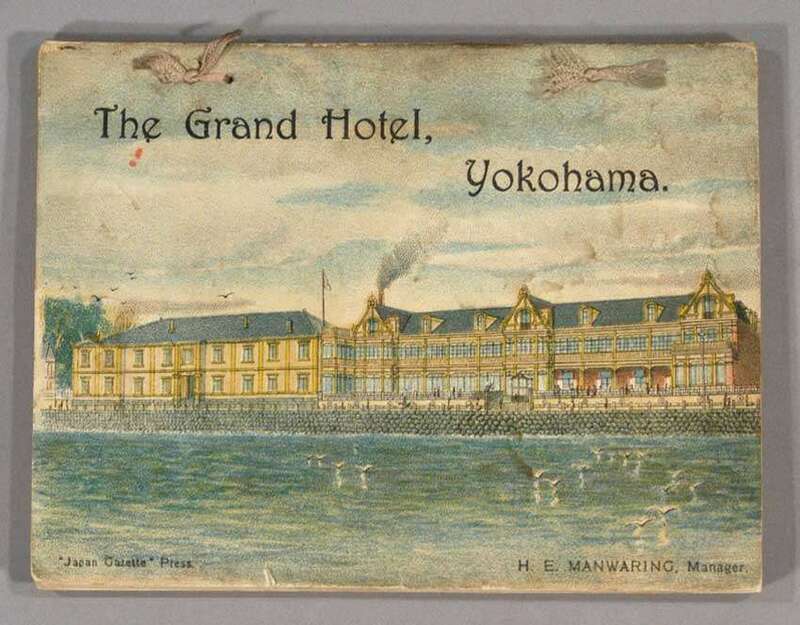 It was a very good hotel just down the street, the only good hotel in Yokohama. But it took a very long time to work out the details. In the meantime, we had a variety of things to chew on from an unexpected source: our former Japanese servants. No longer allowed on the premises and obviously aware of our predicament, they hid tiny packets of edibles in the bushes behind the garage where they could not be seen leaving them, nor we retrieving them. Without their generosity, we might have starved. At about the end of our first week of New Grand Hotel food, we found that we were eating cat. They were sending over cat. At first, we got chicken or some sort of fowl and seafood. Then, all of a sudden, cat. We drew the line at that. It was about then that the Foreign Office finally got through to us. They made an arrangement with a Swiss hotel and with the Kempeitai for us to have two meals a day at this little Swiss hotel, about two blocks from the Consulate. It was a very nice little hotel. The food was wonderful. The guards who took us over there were also fed. As far as I know, the hotel never got paid for any of this. We couldn’t pay. We didn’t have any money. The Swiss owners were so pro-American they did everything they could for us. Gave us the best of everything while the guards were over in a corner eating sushi. That arrangement continued the rest of the time we were there. Q: When did you finally leave? Were you ever united with the embassy group? So they came around and picked us up. The consul general was still in a huff. He wouldn’t speak to anyone. The luncheon was in a private dining room with beautiful mahogany paneling. There were about 10 other Japanese officials there in addition to the chief of police, who sat at the end of the table…. Ever since I arrived in Yokohama, I’d had frequent dealings with the chief of police. Until Pearl Harbor. We had become good friends. I liked him very much. He was in his 60s and was on the verge of retirement. Anyway, when we went up there, the consul general wouldn’t even look at him. He just stayed in his seat….I went over and shook hands with him and we had a nice little chat. He had always been cooperative. We sat down to lunch. Then the consul general rudely stood up and said to the chief of police, “I insist on knowing why you have brought us here.” We had just started to eat the first course. The chief of police said, “We have a saying in Japan that ‘One does not eat peanuts while making love.’ We’ll save the peanuts ‘til after lunch.” The consul general was very displeased…. He then talked at some length about such innocuous subjects as Japanese painting and the ancient art of Japanese sword-making before turning to more serious matters. He spoke of his life-long admiration for the United States and his sadness that our two countries had to be at war with each other. Secondly, he stated that he was obliged to warn us that Japan, under the aegis of the Emperor, could never be defeated in war. He started to sit down but rose again and, in a lighter tone, addressed his American guests. He informed us in a by-the-way fashion that we would be leaving Japan the following week aboard the NYK liner Asama Maru, en route to our exchange point in East Africa. On June 17, 1942, more or less in keeping with the chief of police’s promise, the diplomats, journalists, businessmen, dependents, and other Western Hemisphere nationals selected for repatriation on this first exchange of enemy aliens were transferred by the Japanese to the pier where the Asama Maru was moored. The diplomats were boarded first and I managed to remain at the top of the gangplank from where I could watch for friends whom I had neither seen nor had news of since the war began. Many of these had been in prisons or concentration camps and some were down to skin and bones, some were almost unrecognizable. Others, good friends of mine, gave no sign of recognition when I greeted them, their only reaction a blank stare. As it turned out, the delay was because the Emperor had a relative in the States who did not have diplomatic status, and he was trying to get him included. The State Department finally agreed and we sailed shortly after midnight on the 25th of June. And God, were we glad to go…. Our first stop was Hong Kong where we picked up colleagues from South China. They’d had a very hard time, a much harder time that we’d had…. Then on to Saigon…. So we went up there, and spent the Fourth of July of 1942 in Saigon aboard a Japanese ship. We boarded the diplomats and some missionaries there. That was our only other pick-up stop. Then we went on to Singapore to refuel and take on water, and then across the Indian Ocean to Mozambique…. 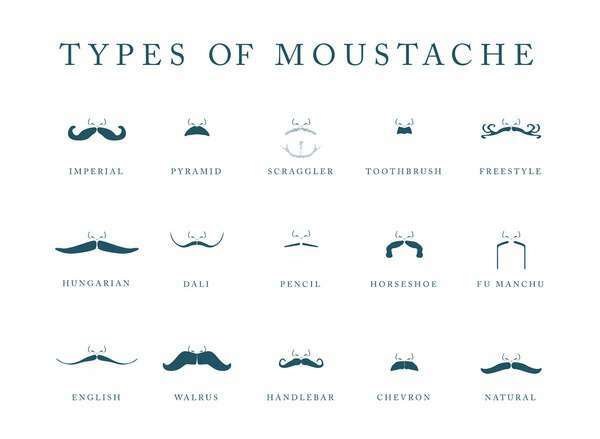 We did have one old copy of LIFE magazine and one of the things in it was a double-page spread on different moustache styles. We decided to assign each of us one particular style and, when it grew in, we’d shave it off and start a different style. (Laughter) Oh, God!…. We arrived in Mozambique on July 23rd. The Gripsholm was already waiting. Q: It was a Swedish ship, a neutral ship that was carrying exchanges of diplomats. BOND: We boarded the Gripsholm as the Japanese were getting off. 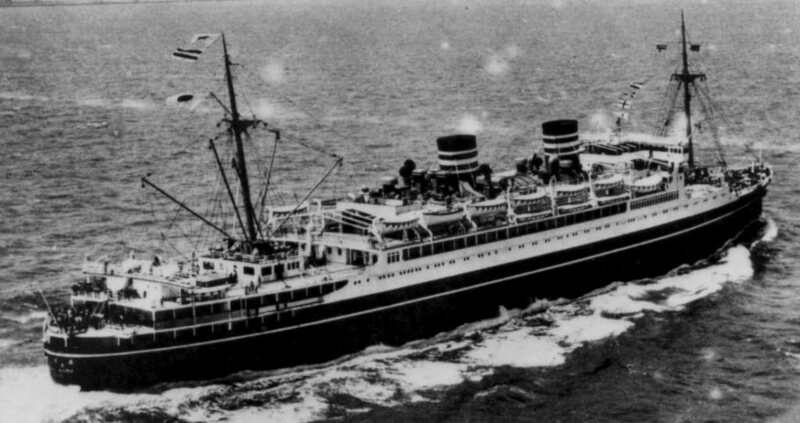 They then boarded our ship — the Asama Maru — which was not a bad ship, but definitely overloaded. There was a third ship there when we arrived: the Italian cruise liner, the Conte Verde. 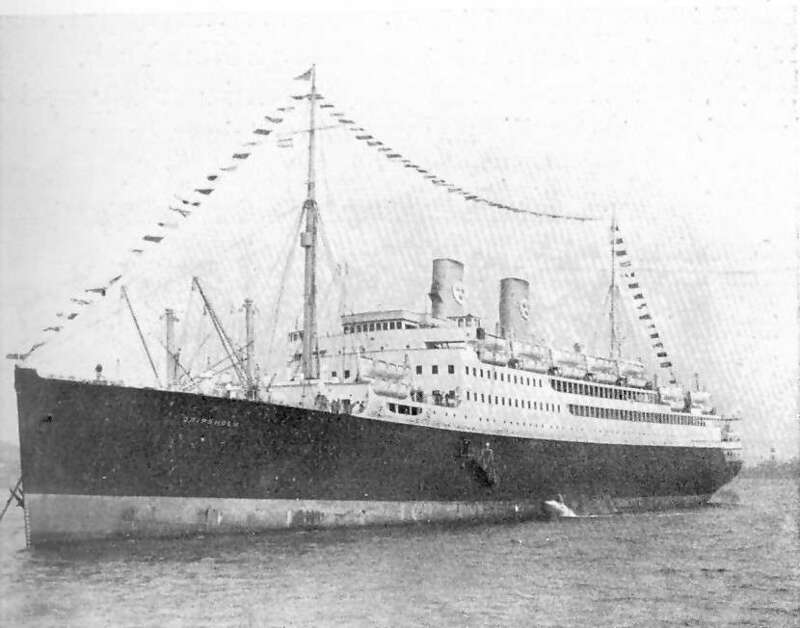 The Conte Verde had been seized by the Japanese in Shanghai and was being used for the transport of diplomats and others being repatriated from China. The only stop the Asama Maru made in China was in Hong Kong. All the rest of the repatriates in China were brought to Shanghai and put on the Conte Verde. We on the Asama Maru learned later that the passengers on the Conte Verde had fared much better than we had, since we were prisoners of the Japanese all the way to East Africa, but our opposite numbers on the Conte Verde had enjoyed the advantage of a European vessel with a sympathetic European crew, staterooms for all, swimming pools, etc. The Conte Verde had joined the Asama Maru in Singapore and we had traveled more or less together on the long voyage across the Indian Ocean. We went from Mozambique to Rio where we offloaded the Latin American diplomats and missionaries. We had spent at least a week in Mozambique, a wonderful change. It was in the middle of winter and the weather was perfect….Everyone was being especially nice to us. Of course, the Portuguese are such nice people anyway. We were docked in Rio for only 24 hours and then sailed directly to Jersey City…. Then we couldn’t get off the ship for another 24 hours, I think it was, because Naval Intelligence wanted to question everybody…. My wife was there waiting for me; she had a sister who lived in Nyack, New York, and was staying with her. So I spent about a week there in Nyack, then some time in New York, where I was treated for “trench mouth,” a souvenir of my Japanese internment. Then I went down to the Department, where I checked in, and was eventually reassigned.